It’s less than one week until Internationale Spieltage 2015, more commonly known as Essen, arguably the world's largest board game convention. 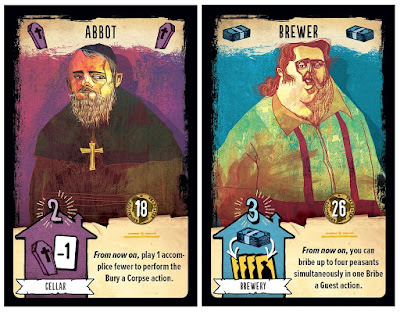 For the first time ever I will be visiting Germany to soak in the cardboard heaven and so, more than ever, I've been keeping a careful eye on the games that are going to be available. 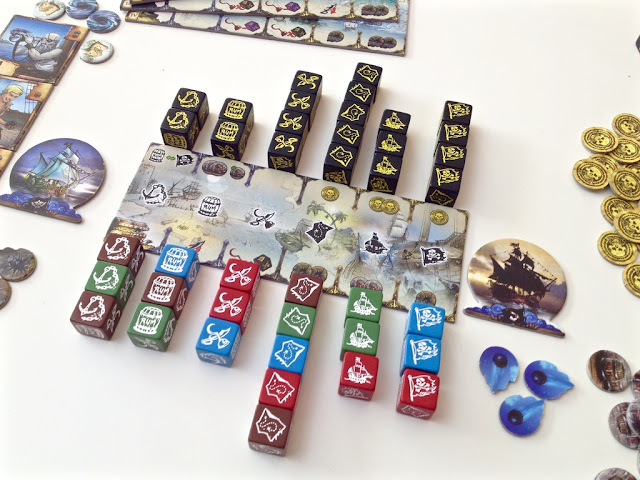 The sheer number of games previewing at Essen is staggering and to cover them all would be a mammoth task, so I’ve handpicked a small selection of games that I think are worth a look. This preview covers not only the big, hot off the press, games that everyone will be wanting to buy, but also those intriguing looking hidden games, those games from small European publishers that you will probably never see outside of mainland Europe. Probably the game to garner the most pre-Essen buzz, if only because it sounds so utterly bonkers, is 504 from Stronghold Games. Have you ever seen one of those three course recipe books, the ones where each course is a separate book and you can flip them to make your menu, now imagine a board game rulebook made the same way, but instead of food you’ll be picking board game mechanics. By choosing three different game modules you will be able to make one of 504 different games! If the concept even remotely works then this could be an amazing game. It could of course fall completely flat on it arse, or, more likely, certain combinations of games could fall flat meaning that whether you get a good or bad game could end up being complete pot luck. The other issue is that being published by Stronghold Games the price this side of the pond is a bit on the high side, but if all 504 games pan out then it should be a bargain. I've mentioned Pandemic Legacy before, it's the ongoing game changing campaign system from Risk Legacy applied to one of the best and most popular cooperative games around. The Legacy system is a campaign applied to a board game, where results from each game can permanently change future plays of the game. 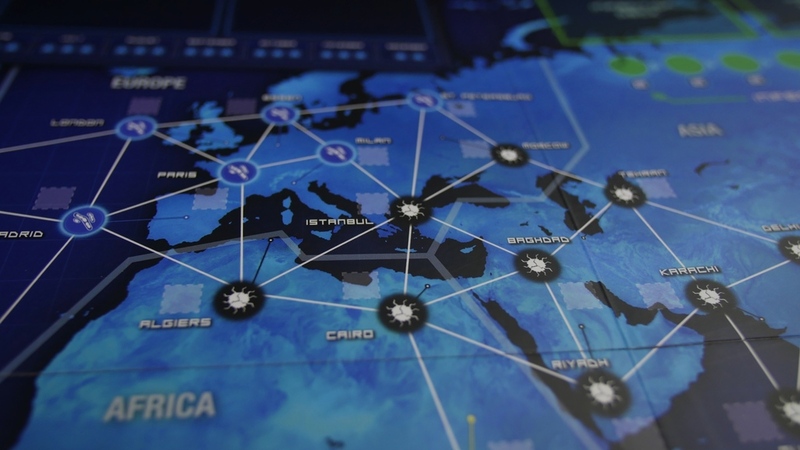 Ripping up cards, writing on the board, or applying stickers to change the map are the kinds of collector worrying changes you will make to Pandemic Legacy. It's easy to see how Legacy and Pandemic will work together. Viruses could mutate, populations could be decimated and characters could be killed. The initial review buzz is positive and Pandemic Legacy will be available to purchase for the first time at Essen. I've always been on the lookout for a really good board game about time travel. Tragedy Looper is good and definitely scratches that itch, but is a little too anime for my tastes, and rather unintuitive. T.I.M.E. Stories may be the game I'm looking for, a more in depth look at time travelling, as a group of players attempt to solve a critical problem. The first case involves a zombie outbreak so expect a blend of The Walking Dead and Source Code. My concern with T.I.M.E. Stories is the replayability. In theory each scenario can only be played once, as once you have played it you have solved the puzzle and will know what to do if you attempt it again. To be fair Tragedy Looper had this same issue but T.I.M.E. 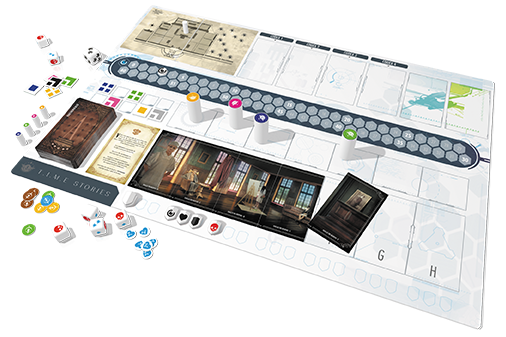 Stories only has one scenario in the box, and each other scenario is an expansion, so straight away you’re going to have to buy an expansion for the game if you want to play it twice. Another entry into the Legacy concept is Chronicles Origins but rather than taking an existing game and adding a campaign this is an entirely new series of games. Yes series. Chronicles is a legacy game that spreads across multiple games. This is not just multiple play-throughs of the same game but your results from the first game in the series can affect the third and fourth game. It's an amazingly ambitious concept and I am really looking forward to see how it plays out. The concern is that if any single game in the series is a dud, then I can't see people wanting to carry on and play the rest of the series. As they say, a chain is only as strong as its weakest link. There are a lot of pirates games out there, there are a lot of dice games out there, and there are also a few a pirate themed dice games and Curse of the Black Dice is another to add to the list. This game may be nothing but colourful fluff but there's something about the Curse of the Black Dice that is drawing me in. It could be the bright colours and joyful pirate theme. It could be the mission based gameplay and opportunity for backstabbing and sailing into the wind. Or it could be that you get to kill a Kraken. I could just be being blinded by the prettiness of the components and artwork with this game, which is why I'm hoping to give it a proper look at the show. 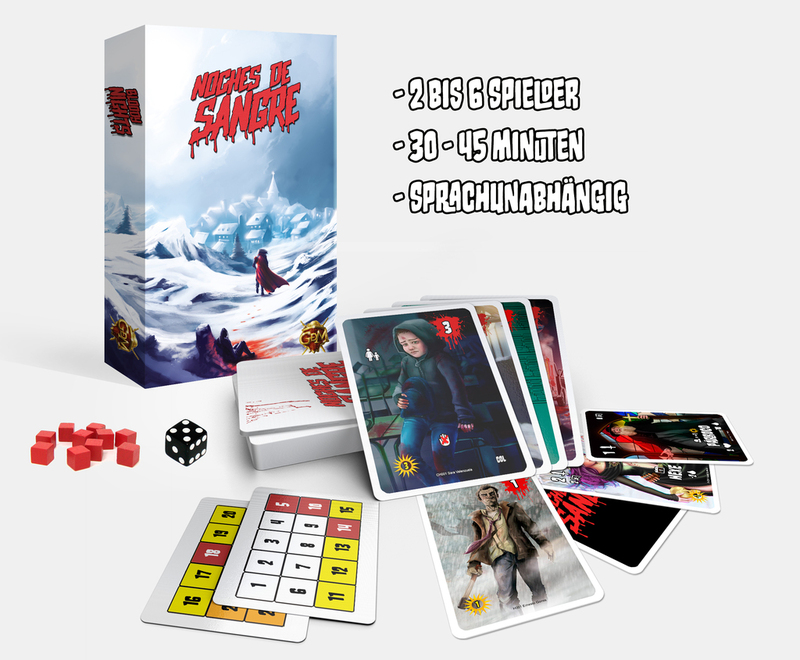 The English translation of this game is Nights of Blood, and its simplest to call this game 30 Days of Night the semi-cooperative card game. The aim of the game is to survive 30 nights of vampire attacks, and to do this you’ll scratch around for food, weapons and survivors while at the same time fending off the blood suckers. The game looks relatively simple, and claims to take no more than 45 minutes to play. The language issue shouldn’t be a problem either as the card iconography is all language independent. 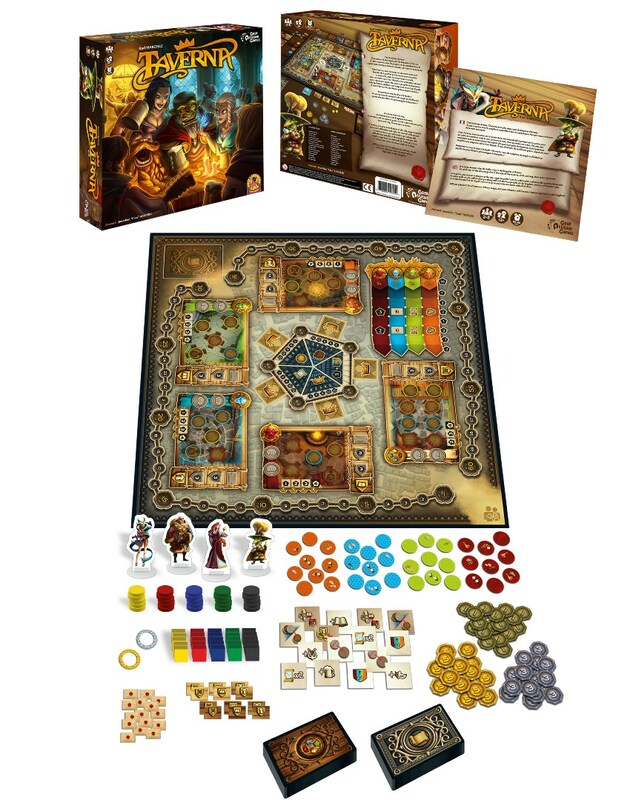 When it comes to potion mixing you have to bring something to outshine the quite brilliant Alchemists, and Potion Explosion has a different kind of nifty gadget to make it stand out. 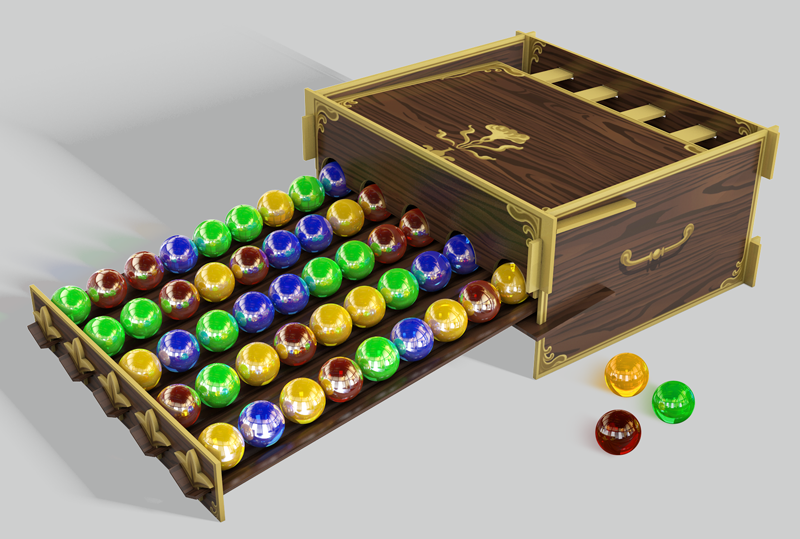 You'll be collecting ingredients to make your potions and you'll be grabbing them from the game's magic potion draw. Coloured balls for each ingredient can be grabbed from the draws and as they get used they're fed back in and emerge in a random order. I'm strangely hesitant to use the analogy but it's like Candy Crush in board game form. There must be something special about Potion Explosion because the rumour is that Cool Mini Or Not have already picked up the game for US distribution. 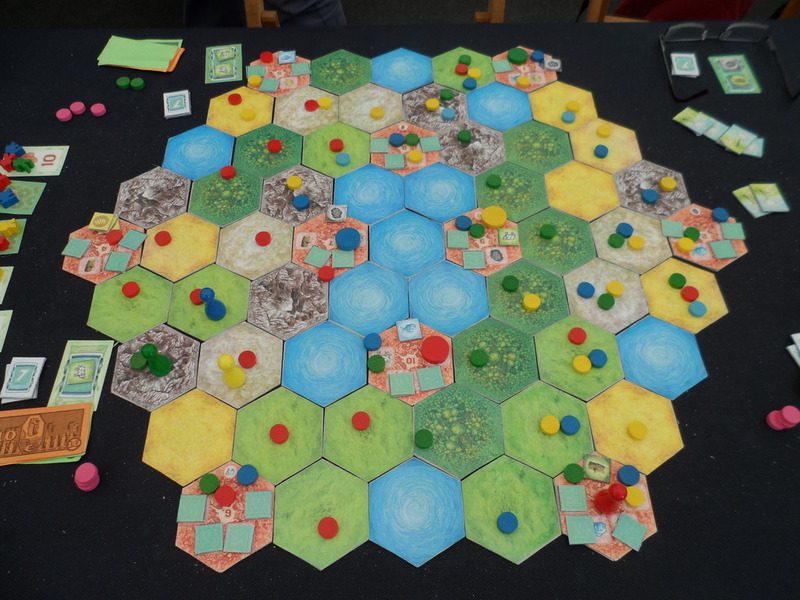 It's a terribly simple concept but bear with me as I try and explain how this is the most innovative game on show at Essen; it's a fantasy adventure based on domino rally. Seriously, just look at it! The game itself is a cooperative God game of exploration. You work together to build rivers, connecting faraway lands and discovering wonderful creatures. 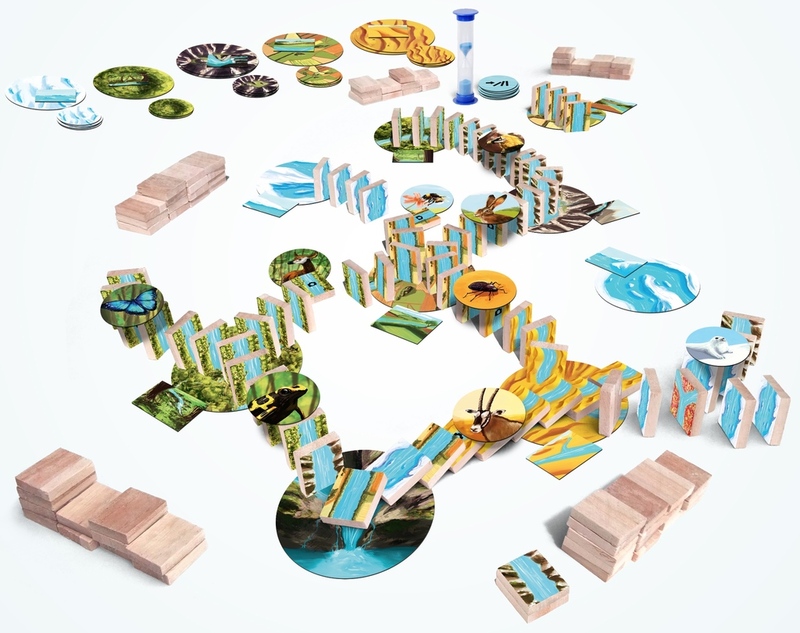 The rivers are built via the standing dominos and at the end of game you set off the domino rally to create the final river layout. It's probably going to be an absolute swine to set up, it's going to get knocked over every time someone reaches over the table and to be honest it's probably aimed at a younger audience but the fact that this game exists fills me with joy. It's a simple play on words; Tavern and Caverna. Yes this game is a euro cube shuffler about running a fantasy pub, and that ladies and gentlemen is a theme that has well and truly got me attention. The aim is to attract the wealthiest patrons and make sure your tavern meets all their needs. Whether its finding a nice spot by the fire for the dwarf to read his book or frivolity and dancing for the elven ambassador, you will tempt customers to your pub and make sure they’re happy and if not you can always cheat with a little magic. The Bloody Inn is a much darker kind of Tavern. In an out of the way village, in 19th Century France, several innkeepers are plotting to kill the guests and steal their money. And so begins a game of treachery, plotting and grisly murder. What stands out for me so much is the theme, it's not trading I the Mediterranean or fantasy dungeon delving. I also think the artwork makes the game rally stand out, though I suppose some people might be put off by it.